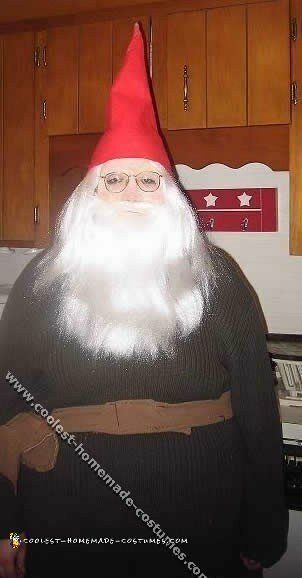 I used an old man prosthetic piece with wig and beard for my gnome costume. I got the clothes at goodwill. And I used a Santa hat with the ball taken off.